An Australian first in a prestigious TOP 3 placing for John Moriarty Football (JMF) in the FIFA DIVERSITY AWARD 2018 on Monday in London. Accepting the Finalist’s award at the FIFA ceremony, JMF Co-Founder John Moriarty shared his own story of the power of football to cut through discrimination and exclusion to enable a different life. The football program named for Moriarty reflects his own journey as the first Aboriginal footballer selected for Australia. Described by FIFA as powerful recognition of diversity and anti-discrimination values through football, the FIFA Diversity Award 2018 winner was announced as Kenya’s Horn of Africa Development Initiative (HODI). JMF was one of three finalists, the first Australian organisation to to achieve the honour. The other was UK/Ireland’s Show Racism the Red Card (SRtRC). JMF is in its seventh year of continuous delivery in remote communities. The program brings together 6-16 year old children through football, promoting education, good health and wellbeing in some of the country’s most socially challenged regions. JMF enables families and communities to unlock their children’s potential – in life and in sport. “We are humbled by this international recognition. It’s a reflection of the dedication of our coaches, staff, supporters and partners, who deliver the program day in, day out in the bush, and who support our Sydney scholarship holders,” John added. 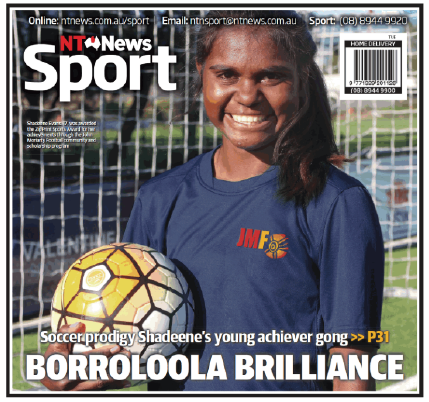 JMF is showing Australia and the world what Indigenous footballers can achieve in the game, but also what football can do for reconciliation to help level the playing field of Indigenous opportunity. 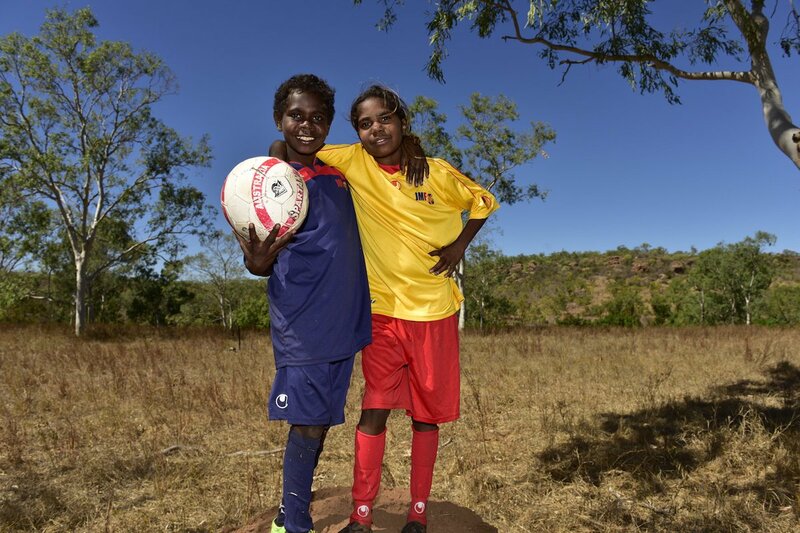 John Moriarty Football (JMF) leads the way in Indigenous football in Australia, using the sport as a constant in children’s lives to create a grassroots environment for change. It is a program delivered by the Moriarty Foundation, a not-for-profit initiative that enables Aboriginal families and communities to unlock the potential of their children. The for-purpose entity is co-chaired by John Moriarty and Ros Moriarty, the founders of Balarinji, the design studio best known for covering Qantas aircraft with Aboriginal art. John Moriarty’s football career and love of the game led to him co-founding the JMF initiative in 2011 with his son James. John played football for South Australian First Division teams Port Thistle and Adelaide Juventus before playing for Adelaide Croatia. He represented the State of South Australia 17 times, and in 1960, became the first recognised Indigenous Australian to be selected for a national soccer team. The Hong Kong Tour where he would debut was cancelled after Australia’s expulsion from FIFA, and his career ended shortly afterwards in a collision with a goalkeeper. After retiring, Moriarty served on the board of Adelaide Juventus (now Adelaide United).